[Monday, August 1, 2011] This Space Transportation Technology Roadmap proposes a path that enables the U.S. to maintain indigenous full spectrum space access. [Tuesday, August 2, 2011] "As you know, the final design of the SLS is long overdue. This is perplexing since the parameters for the final design are clearly articulated in the Authorization and Appropriations Acts." »» Joint Statement of Space Exploration Technologies Corp. and Valador Inc.
[Tuesday, August 2, 2011] The Parties regret any misunderstanding or misinterpretation resulting either from the investigation of the rumor or from statements concerning the possible motives for that investigation. [Tuesday, August 2, 2011] MADE IN SPACE, a start-up dedicated to providing solutions for manufacturing in space, announced the successful completion of testing 3D printers in zero-gravity. [Wednesday, August 3, 2011] SpaceRef, a provider of new media services since 1999, announced today that it was launching its first magazine, Space Quarterly, in both digital and print format. [Thursday, August 4, 2011] Boeing will announce the selection of its rocket for the Crew Space Transportation (CST)-100 on Thursday, August 4 at noon Eastern Time (11 a.m. Central Time, 9 a.m. Pacific Time). [Thursday, August 4, 2011] NASA Inspector General Paul K. Martin today released a report examining the accuracy of the primary database NASA uses to evaluate its extensive real property assets. [Thursday, August 4, 2011] The Boeing Company today announced it has selected the United Launch Alliance (ULA) Atlas V rocket to launch the Boeing Crew Space Transportation (CST)-100 spacecraft from Florida's Space Coast. [Friday, August 5, 2011] NASA will hold a media teleconference at 2 p.m. EDT on Monday, Aug. 8, to announce the proposals selected for study under the NASA Innovative Advanced Concepts, or NIAC, program. [Friday, August 5, 2011] A United Launch Alliance Atlas V rocket carrying the Juno spacecraft for NASA lifted off from Space Launch Complex-41 here at 12:25 p.m. EDT today. [Friday, August 5, 2011] Weather doesn't come from the weather channel. Much of the weather forecasting we rely on every day comes from polar orbiting satellites that provide up to five days of advance warning about severe weather. [Friday, August 5, 2011] NASA has selected four companies to develop concepts for storing and transferring cryogenic propellants in space. These capabilities are important for the agency's future deep space human exploration missions. [Saturday, August 6, 2011] Based on the overwhelming success of and participation with the NASA@Work pilot program, NASA is pleased to announce the official agencywide re-launch of the NASA@Work collaborative program. [Wednesday, August 10, 2011] The Commercial Spaceflight Federation is pleased to congratulate member companies Armadillo Aerospace, Masten Space Systems, Virgin Galactic, and XCOR Aerospace for winning the latest round of contracts today. [Wednesday, August 10, 2011] SSTL has today announced that it will launch the NigeriaSat-2 and NigeriaSat-X satellites on behalf of the Nigerian National Space Research and Development Agency (NASRDA) by a Dnepr launch vehicle from Yasny, Russia 17th August 2011. [Wednesday, August 10, 2011] NASA and the Swedish National Space Board (SNSB) are collaborating to develop powerful low-cost satellites for advanced space missions. [Wednesday, August 10, 2011] Virgin Galactic has been selected by NASA to provide flight opportunities for engineers, technologists and scientific researchers to fly technology payloads into space. [Wednesday, August 10, 2011] NASA Inspector General Paul K. Martin today released an audit that found abuse in a NASA program that reimburses Agency employees for academic courses leading to undergraduate, graduate, and doctorate degrees. [Wednesday, August 10, 2011] The Operational Land Imager, built by Ball Aerospace & Technologies Corp., has been approved by NASA Goddard Space Flight Center for shipment to Orbital Sciences Corporation for integration onto the Landsat Data Continuity Mission spacecraft. [Thursday, August 11, 2011] Kris Kimmel of Kentucky Space is organizing the first hackerSPACE Workshop, which provides an opportunity for makers learn about building spacecraft from space professionals and engineers. [Friday, August 12, 2011] Aerojet, a GenCorp company, announces the successful testing of the state-of-the-art Upper Stage Engine Technology (USET) Hydrogen Turbopump Assembly (TPA) at the Air Force Research Laboratory (AFRL), Edwards Air Force Base, Calif.
[Friday, August 12, 2011] NASA has announced the creation of the Human Exploration and Operations (HEO) Mission Directorate. The new organization will focus on International Space Station operations and human exploration beyond low Earth orbit. [Friday, August 12, 2011] The TEDxNASA@SiliconValley event, which will feature presentations on "extreme green ideas," will be streamed live online on Wednesday, Aug. 17, from 2:30 p.m. to 8 p.m. PDT. [Monday, August 15, 2011] NASA Goddard Space Flight Center (GSFC) Innovative Partnership Program (IPP) and Earth Science Division will be hosting a Commercial Suborbital Vehicles Workshop at the GSFC on September 7, 2011. [Monday, August 15, 2011] NASA has agreed in principle to allow SpaceX to combine all of the tests and demonstration activities that we originally proposed as two separate missions (COTS Demo 2 and COTS Demo 3) into a single mission. [Wednesday, August 17, 2011] The 2011 results show that even as countries collaborate in space, competition has intensified. Dominant actors are losing ground to a rising middle tier of space players, and the competitive gaps separating all nations are narrowing. [Wednesday, August 17, 2011] Lockheed Martin showcased the importance and value of careers in the technology and engineering fields to San Francisco Bay area students today at the NASA IT Summit 2011 Education Blast Off. [Thursday, August 18, 2011] NASA will hold a media teleconference at 2 p.m. EDT on Monday, Aug. 22, to announce proposals selected in the agency's Technology Demonstration Mission program. [Friday, August 19, 2011] NASA announces an invitation for the public to nominate individuals and also submit self-nominations for consideration as potential members of NASA's Federal advisory committees. »» Help Publish the Space Art Book "The Beauty of Space"
[Friday, August 19, 2011] Though Space Art has been around for just over a hundred years, there has never been a book that tells the story of the history of Space Art, how it came to be, how it has grown to be perhaps the most influential genre of art ever. 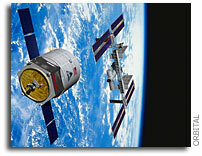 [Friday, August 19, 2011] NASA's partnership with industry to develop transportation to the International Space Station reaches another milestone on Wednesday, Aug. 24. [Friday, August 19, 2011] We write today to request that the Administration immediately provide the Section 309 report to Congress, and that the Office of Management and Budget immediately release its hold and approve the program. [Friday, August 19, 2011] Today NASA is scheduled to formally receive the independent cost assessment for the Space Launch System (SLS) that was requested by the Office of Management and Budget (OMB). [Monday, August 22, 2011] This year's National Aerospace Week, an event established by Congress, will focus on informing the debate over choices our government will make in the coming months. [Monday, August 22, 2011] Space Adventures together with Armadillo Aerospace plan to release a Request for Proposal (RFP) solicitation for a space suit product within the next few months. [Monday, August 22, 2011] Tor/Forge and NASA hope that pairing scientists and engineers with the imprints' award-winning roster of writers will raise awareness and inspire the study of STEM, in line with the President's Technology Agenda. [Monday, August 22, 2011] NASA has selected three proposals as Technology Demonstration Missions to transform space communications, deep space navigation and in-space propulsion capabilities. [Tuesday, August 23, 2011] Play as an aspiring astronaut in Astronaut: Moon, Mars and Beyond, the official NASA MMO game. Set in the year 2035, you will embark on an adventure into space, Mars, the asteroid belt, and the outer planets. [Tuesday, August 23, 2011] In general, the estimates prepared by SLS, MPCV, and 21CGS are consistent with Analysis of Alternative (AoA) level estimates and are reasonable point estimates for budget planning in the near-term 3-5 year budget horizon. 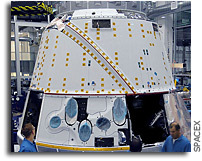 [Tuesday, August 23, 2011] AIA supports the NASA Authorization Act of 2010 (Sec. 204), which mandates an Independent Study on Human Exploration of Space conducted by the National Academies to recommend a path forward for the decade 2014 - 2023. [Wednesday, August 24, 2011] The House of Repsentatives wants to cancel James Webb Space Telescope (JWST) outright. We haven't heard anything specific from the Senate - yet. Every time NASA mentions a cost for JWST it is higher than the previous cost. 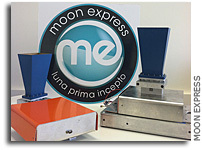 [Wednesday, August 24, 2011] Moon Express, a Google Lunar X PRIZE contender, announced today that it has successfully demonstrated a critical component of its lunar landing technology to NASA under its Innovative Lunar Demonstration Data (ILDD) Program contract. [Thursday, August 25, 2011] Sometimes all it takes is fresh air to get a new lease of life. ESA's Proba-2 microsatellite is a good example: an influx of nitrogen has replenished its fuel tank, in the process demonstrating a whole new space technology. [Thursday, August 25, 2011] Today, Russia's Soyuz launch vehicle failed to boost the Progress M-12M cargo ship to deliver needed supplies to the International Space Station. This failure should be a cause of grave concern, and a moment of reexamination of America's space strategy. [Thursday, August 25, 2011] The Raytheon Company developed Joint Polar Satellite System (JPSS) Common Ground System achieved a major milestone on the road to NPOESS Preparatory Project (NPP) launch with the successful completion of the NPP Compatibility Test 4 this August. [Thursday, August 25, 2011] NASA's work to help develop the next generation of commercial space transportation systems reached another significant achievement yesterday with the arrival at Wallops Flight Facility in Virginia of the Cygnus Pressurized Cargo Module. [Friday, August 26, 2011] Thales Alenia Space announced today that it has shipped its first Pressurized Cargo Module, designed to transport cargo to the International Space Station, to NASA's Wallops Flight Facility in Virginia. [Friday, August 26, 2011] The Nigerian-built satellite, NigeriaSat-X, has acquired its first satellite image just three days after the successful launch on 17th August. [Monday, August 29, 2011] Recently, you received a letter from several senators urging the Administration to move forward with the Space Launch System and approve the program. We agree that it is time for the Administration to commit to the plan for the new heavy lift rocket. [Monday, August 29, 2011] Earlier this month, the new Space Florida Board of Directors held their first meeting of the 2011-2012 fiscal year at the Renaissance Tampa International Plaza hotel. [Monday, August 29, 2011] "New vehicles under development are much longer, and some have wings for gliding recovery. The new roll-back vehicle integration building will let us handle these new vehicles as they come on line." [Tuesday, August 30, 2011] This publication announces NASA ARMD plans to release the Fiscal Year (FY) 2011 version of the NASA Research Announcement (NRA) entitled, "Research Opportunities in Aeronautics (ROA) NNH11ZEA001N. [Tuesday, August 30, 2011] ZERO-G) announced today that the company sponsored a group of Singularity University graduate students on a flight to promote (STEM) fields of study, in an effort to encourage interest in pursuing STEM-related professional disciplines. [Tuesday, August 30, 2011] Southwest Research Institute (SwRI) has been selected to provide payload flight integration services as part of three suborbital flight provider contracts recently announced by NASA to Virgin Galactic, XCOR and Masten Space Systems.